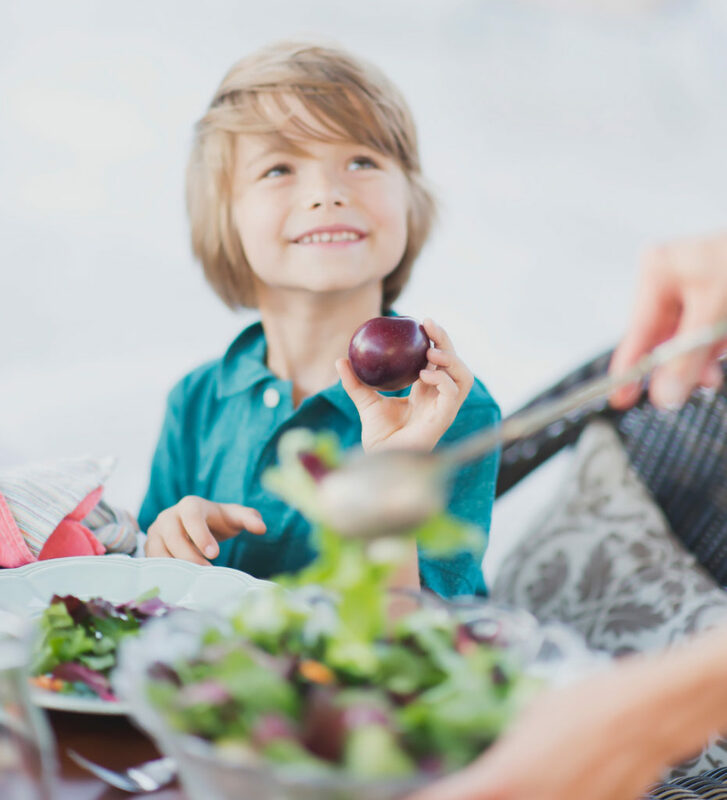 Countless studies have demonstrated that children whose families eat dinner together are less stressed, healthier, happier, get better grades, and have better mental and emotional health. However, 59% of Americans report that their family today shares fewer family dinners than when they were growing up. As families get busier, evening activities encroach on family dinnertime. Not only that, the amount of stuff Americans have these days, coupled with these busy schedules, leaves the dinner table itself crowded and inhospitable. Here is where organizing comes in: organizing clears the way for healthy households by creating space for what is important to you. Organizing your time involves creating meal plans and shopping ahead of time, leading to balanced nutrition, food variety, and a positive mealtime experience. Organizing your space results in a clean-surface kitchen in which you can prepare healthy meals and a clear dinner table around which to gather. As you can see, organizing is your access to reclaiming the family dinner table. Reclaiming your family dinner time doesn’t have to be difficult or expensive; It all starts with a clear table. When the table is piled high, families tend to eat out more often. This takes a toll on both family budgets and family health. As an outcome of an unusable dinner table, too often meals are served in front of the TV or in shifts in the kitchen. This fosters a grab-and-dash approach to mealtime, resulting in food being shoveled in rather than enjoyed and everyone fending for themselves. 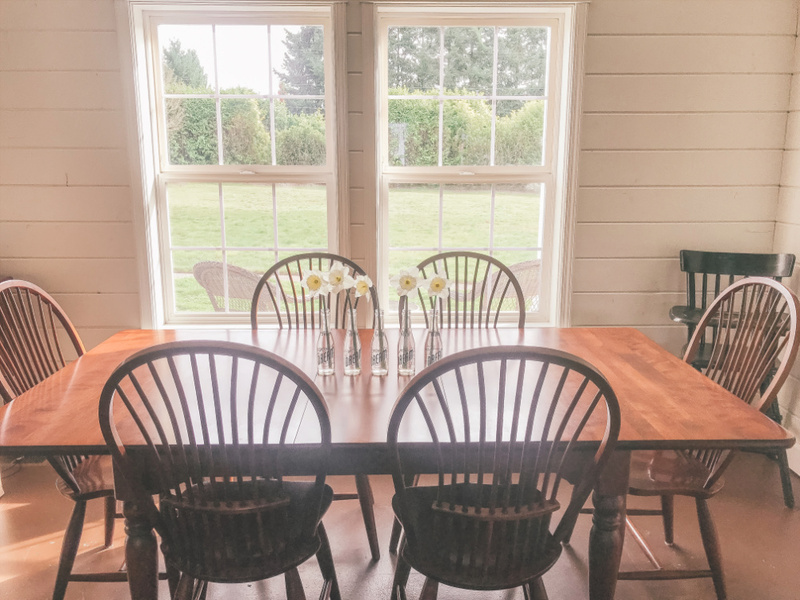 Lacking a central place to convene face-to-face, the connection of the family dinner table is lost. In fact, the splintered dinner table is a microcosm of what’s happening in society. Fractured intake and independent mentality has superseded the communal experience. When we take back the family dinner table, we begin to reclaim our households. One study of 5000 children showed that kids who have family dinner together are emotionally stronger and have better mental health. Another report by CASA found that teens who have between 5-7 family dinners per week were twice as likely to get As & Bs. With statistics like these, you can see the value of investing in organizing your family dinner table. When you declutter the table, don’t just shuffle the stuff and clutter up the rest of your home! A sound organizing process will ensure that your dinner table STAYS organized. If you simply clear the table without addressing the nomadic items landing there, you’ll quickly see the table fill back up with the same type of stuff. First, remove items by type into boxes or baskets. Performing this “sort” of the stuff landing on the dinner table will give you clues about the organizing systems needed elsewhere in your home. Paper – Piles of paper are the most common dining table abuser! If your table is piled high with paper, you need a household hub for processing incoming paper (active paper) and a permanent file storage system (completed paper). Incoming bags and briefcases – A landing spot in an entry or inside a garage can be designated for these bags. I created a mudroom for this purpose in our home that is filled with dozens of hooks for backpacks, purses, and totes as well as for coats. 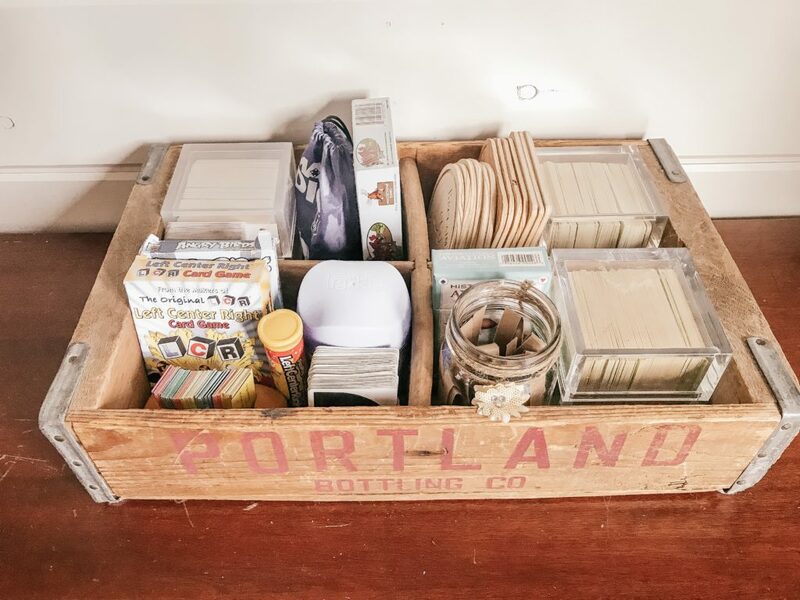 Projects + hobbies – If your craft supplies or remodeling supplies are landing on the table, you’ll want to select a dedicated spot for storing these items based on where you will be using them. 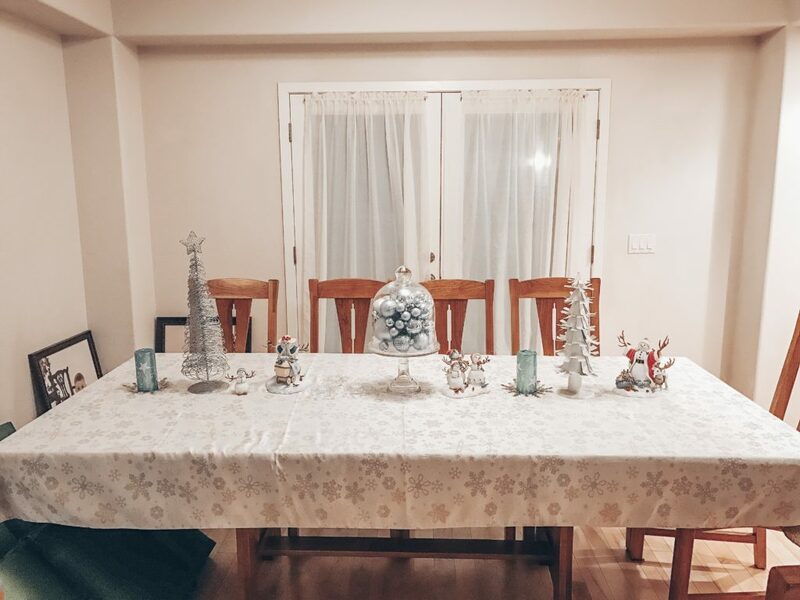 If they will actually be worked on at the dining table, they need a storage space adjacent to the table so they can be cleaned up by dinnertime! Hutches and sideboards are often a good nearby solution. When you declutter the dinner table, enroll your family in the significance of family meals together. Work together to create new habits of putting items where they belong. Make the dinner table a sacred space and involve the family in clearing clutter from the table when it accumulates. Gaining buy-in from the family will help keep the table cleared long-term. Stake your claim on the surface real estate with a centerpiece, fresh flowers, or – even better – a family fun caddy (more on that later). 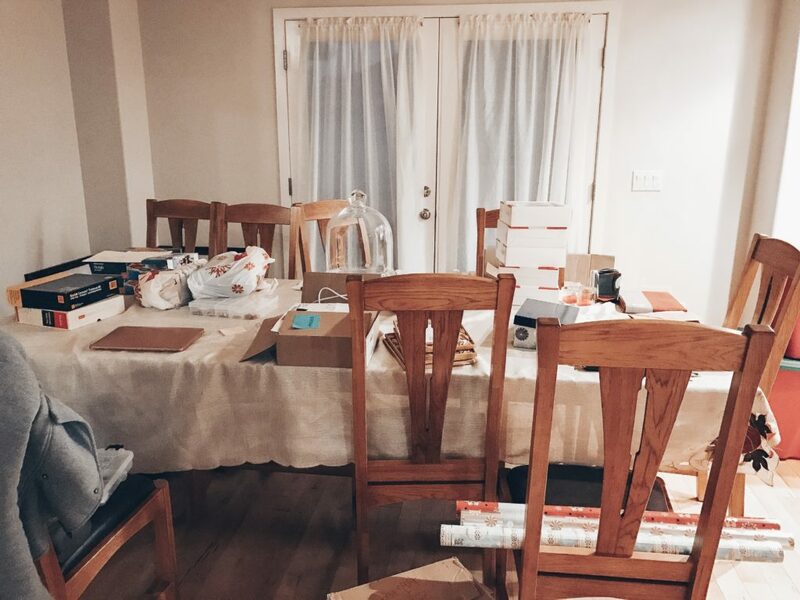 By organizing your table, you are ordering more than your space. You are organizing family experiences that will last a lifetime. 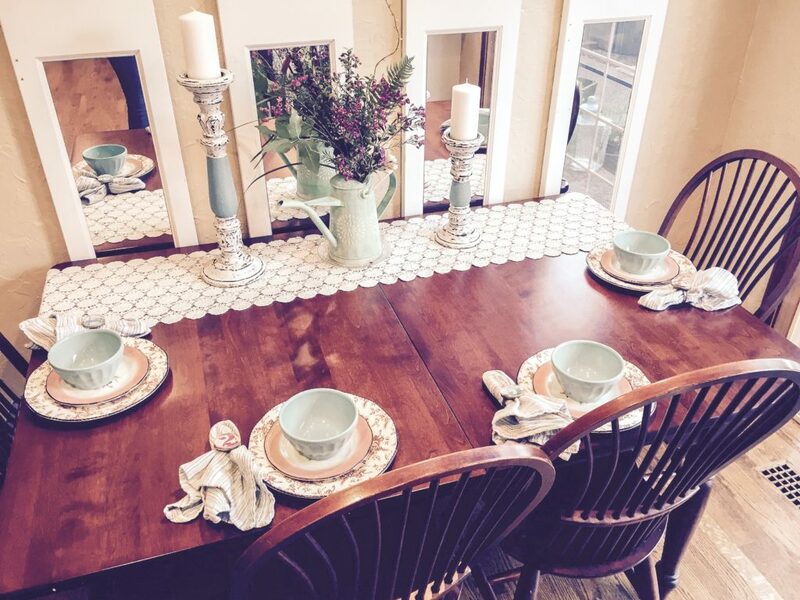 By organizing your dinner table, you are ordering more than your space. You are organizing family experiences that will last a lifetime. Maybe you’ve tried family dinners and ended up spending your time correcting poor manners and squelching arguments. Creating these special times takes intentionality, lest dinnertime devolve into airing the day’s frustrations or taking out our feelings from the day on our loved ones. 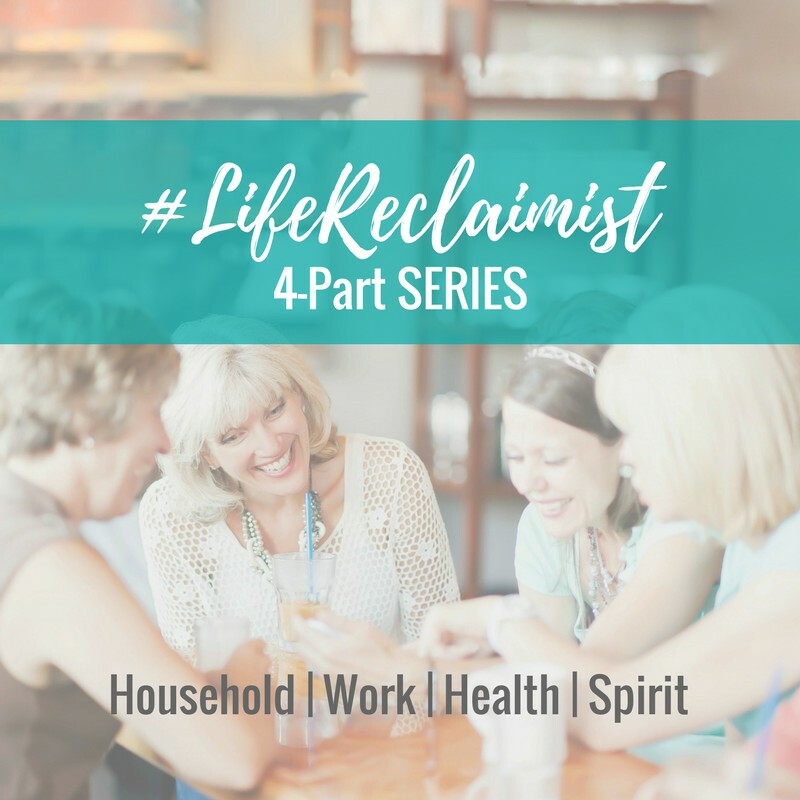 Take heart – the key to overriding distractions is an engaging plan. Creating memories as a family around the table is enhanced when we have a plan and some resources at our fingertips. 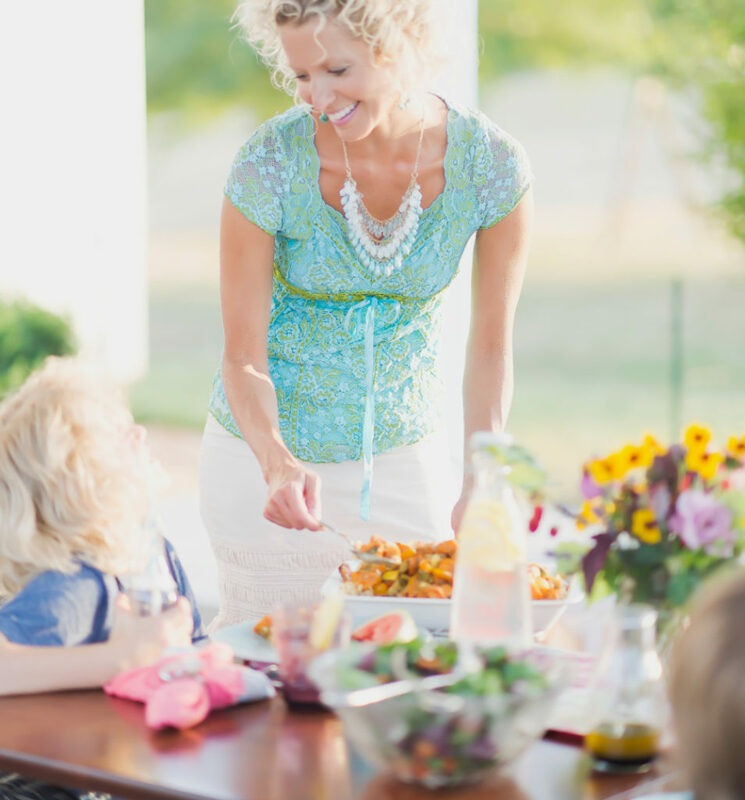 Create a family fun caddy to focus your family on positive, uplifting themes during dinnertime to maximize connectedness. 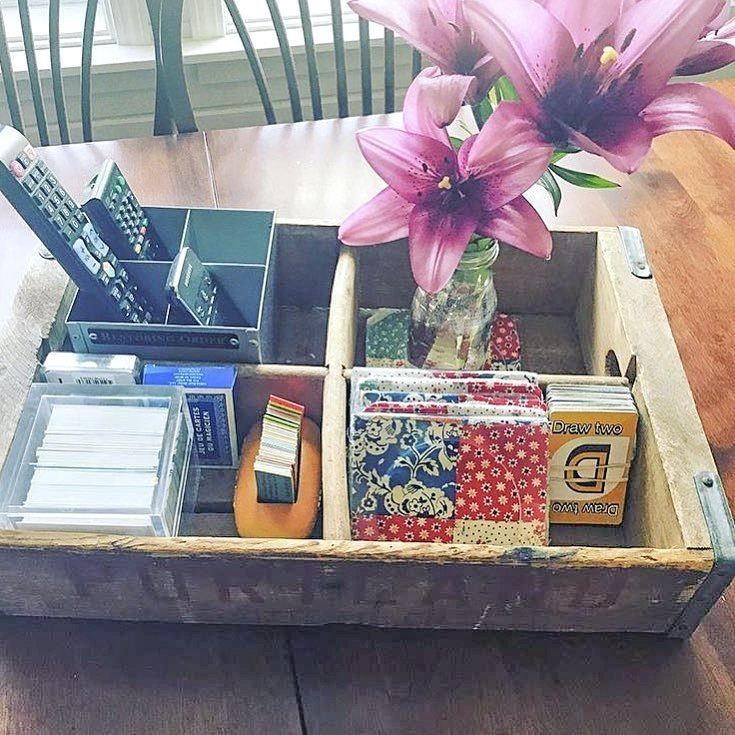 In our home, we’ve repurposed this handsome bottle crate into a family fun caddy. We keep this caddy close-at-hand on our sideboard and pull it out each night. I rotate the items now and then to keep it fresh. What to do in emergency situations – this is a great time to go over family emergency planning! Learn to be curious about your family members. Go around the table taking turns “being curious”. Each family member has an opportunity to ask another family member about something in order to learn more about that person. Pre-printed conversation cards. You can find countless sets online! We also include dice, Uno, and playing cards in our caddy for after-dinner fun! 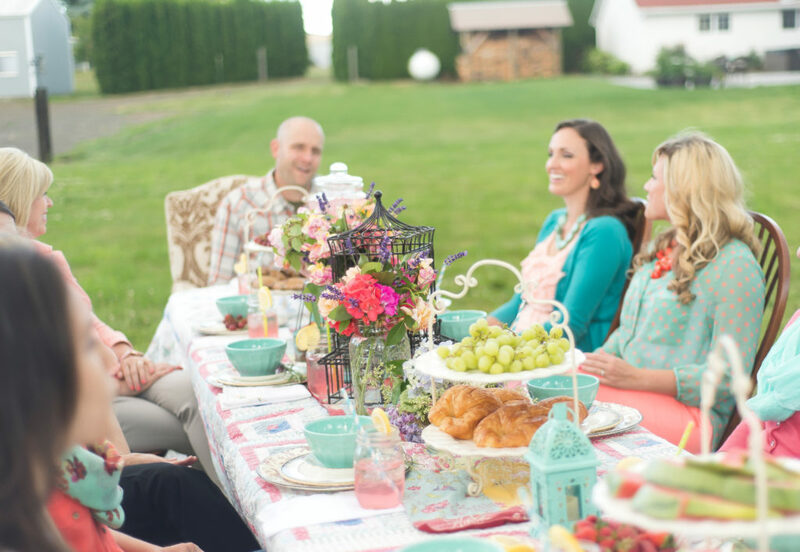 Make the family table a time to pray for others: our families, friends, leaders, and military. Praying for others builds an other-centered attitude in each of us, and reminds us all we are all part of the human family. There are endless ways to make family dinner time fun and memorable. The next time the bickering begins, try redirecting the family to one of these fun activities to foster connectedness. One of our favorite things to do at the family dinner table is to create unique experiences. 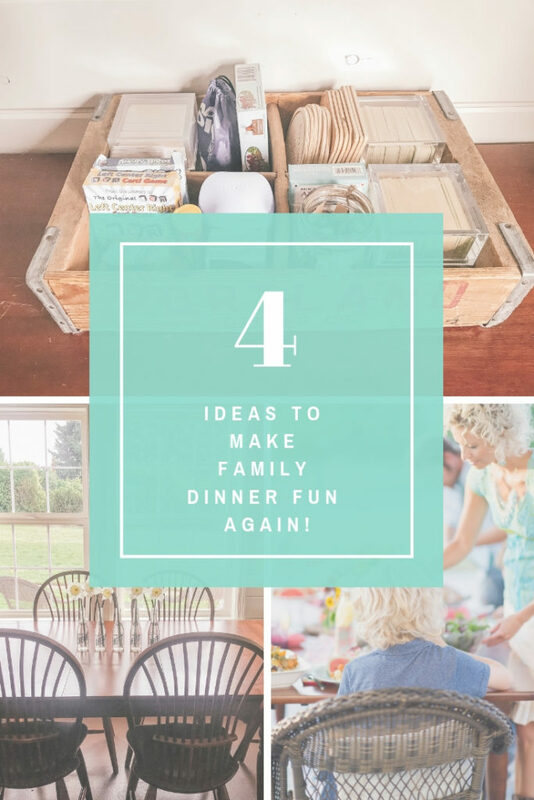 As you get more intentional with family dinner time, let your creativity take off! This is a feast in our playroom (the only long room that would seat 20 people!) that we put together with friends to celebrate a Jewish holiday. We made traditional food, dressed up, and discussed the cultural significance of the meal. We each took part in a play, reading our character’s part, and immersed ourselves in the story-line. It was a time to remember! Don’t wait for a special occasion to have a special dinner – create experiences! Trust me, the small extra effort is worth it! 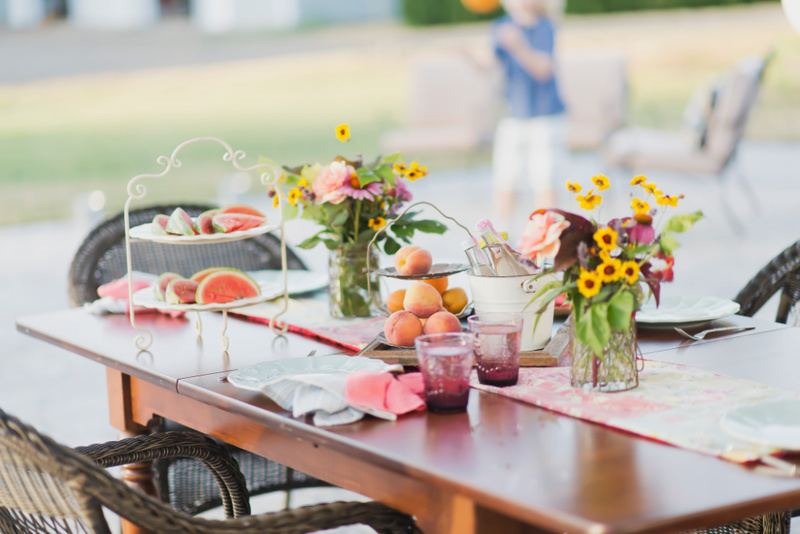 Reclaiming the family dinner table will help you reconnect as a family. However, family relationships are not the only ones that benefit from sharing dinner together. We find that hospitality suffers when homes and lives are disorganized. Connection, not only among the family but with others, is lost as people struggle to keep their heads above water. It’s ironic that in a world where everyone has a thousand friends online, most folks don’t know their neighbors up the street. Reclaiming the family dinner table is the beginning of reclaiming hospitality. It’s ironic that in a world where everyone has a thousand friends online, most folks don’t know their neighbors up the street. Reclaiming the family dinner table is the beginning of reclaiming hospitality. Now that you have your table cleared for dining and you’ve started thinking creatively about dinnertime, open your table to others. Below is pictured a garden party I designed and hosted for my Restoring Order team of professional organizers. It was a magical time! When you make room for hospitality at your table you can “pay forward” all the benefits of the family table. 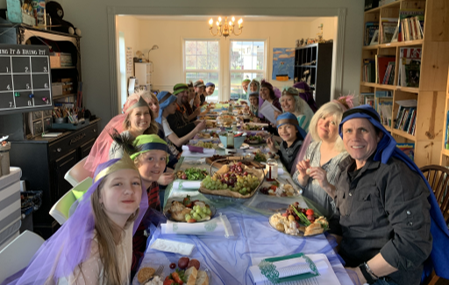 The act of “breaking bread” together has been known for generations as an intimate act of connectedness. Build bridges, repair relationships, show love, and offer respite just by opening up your home and your table to others. Organizing your mealtime table gives you more than a cleared surface; it provides a platform for extending hospitality and getting back to what’s most important in life: people. Please share in the comments your own experiences and idea about creating rich family experiences! Together, we’re a community of Life Reclaimists taking back our tables and taking back our lives!